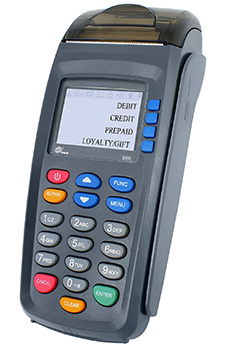 Rajvisa Cash Register Program integrates the most popular electronic cash registers on the market with exclusive credit card processing technology that allows you to manage all payments through a single terminal. In addition to accepting payment, track all your daily cash, check and credit card sales as well as taxable and non-taxable sales. Rajvisa has developed a simple, easy to use online wizard to customize your register’s keypad layout prior to shipping so that you will receive your cash register fully programmed to your specifications, saving you countless hours of setup time. Ideal for delivery services, taxi/car services, contractors, flea markets or any business that accepts payments off-site, Rajvisa Wireless delivers a truly flexible payment solution. 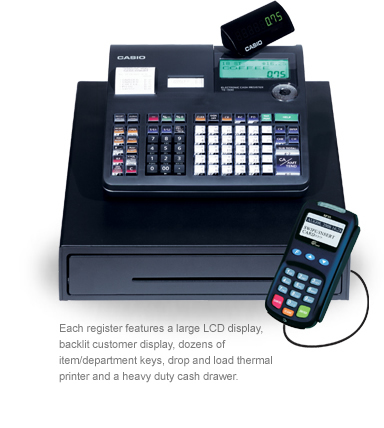 Similar in form and function to a standard terminal, this secure, PCI-compliant payment terminal features a large display screen and integrated receipt printer. Accept credit and debit cards away from your physical store location and take advantage of “card-present” rates while you’re on the go with Rajvisa Wireless. Mobile payments are becoming increasingly popular and Rajvisa is proud to deliver the best program out there to serve this market. 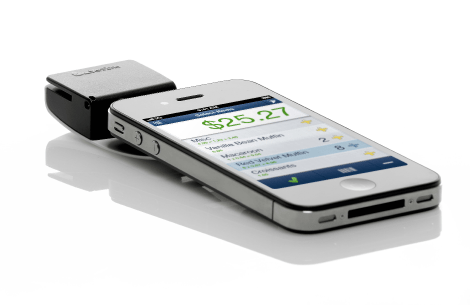 To accommodate the rising use of mobile payments, Rajiva has introduced a secure mobile payments application with a free audio jack reader or optional Bluetooth receipt printer.